CHICAGO (WLS) -- One of Chicago's most famous shopping destinations turning into fitness lovers' paradise this weekend. 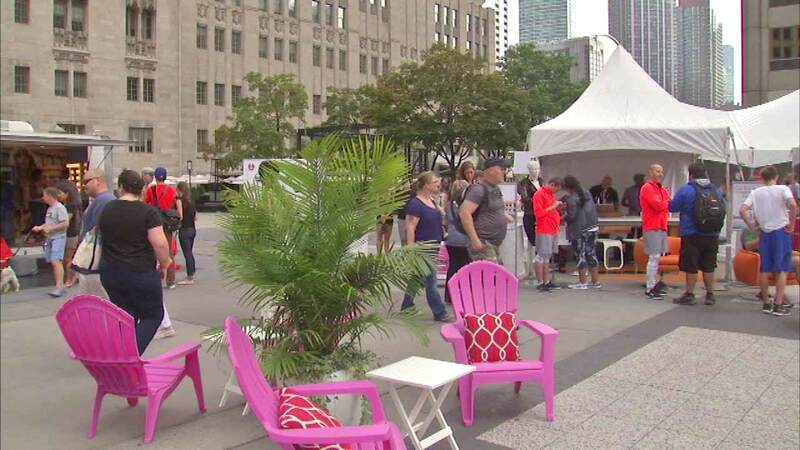 The Magnificent Mile Pop -Up Marketplace opened up Friday at Pioneer Court. It features more than a dozen pop-up shops with a focus on both fashion and fitness. The marketplace is open through Saturday and the fitness-forward weekend concludes on Sunday with the Magnificent Mile Chicago Women's Half Marathon and 5K.